One of the best things about the colder weather is that you can stay in your pj's for the whole day and not feel guilty about it. I mean, you can still stay in your pajamas during hotter days but it's different when you do it during autumn/winter, trust me. When choosing a pajama set, you should look for the most comfortable pajamas for you. What I find comfortable as pajamas go, might not be what you find comfortable. I've seen a lot of people over on Instagram wearing silk pajamas and those does not work for me. I don't find them comfortable. But you might find them the most comfortable thing ever and that's amazing. 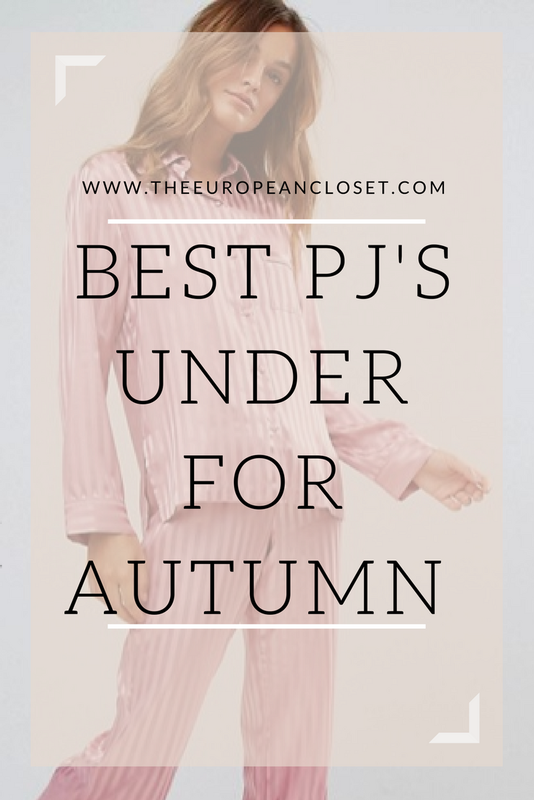 Today, I decided to gather up a few pajama sets I think will be amazing for you to wear during this season as they are super comfortable and super pretty. Oh and the best part: they are all under 40£! I hope you like them!